United States copyright law protects original, creative expression fixed in a tangible medium, such as sculptures, paintings, and musical recordings. But, subject to limited exceptions, copyright protection often does not extend to the design of useful articles, such as furniture or clothing. Useful articles are protectable by copyright only to the extent they have artistic elements that are separable from their utilitarian aspects. The concept is easier stated than applied, however, and courts have, over time, developed numerous tests to determine what, if any, aspects of a useful article are protected by copyright. The lack of a single, unified framework has resulted in uncertainty for manufacturers and voluminous and expensive litigation. The Copyright Act of 1976 ("the Act") provides copyright protection for "original works of authorship fixed in any tangible medium of expression …" This protection gives the copyright owner the legal right, during the copyright term, to prevent others from both the unauthorized reproduction and distribution of the copyrighted work and the unauthorized creation of derivative works based on the copyrighted work. For certain types of works, the copyright owner also has the right to prevent the unauthorized public performance or display of the copyrighted work. A copyright comes into existence immediately upon the author's creation of the work and may last for a very long time. For example, works created on or after January 1, 1978 by a human author are subject to copyright protection during the author's lifetime and for an additional 70 years after the author's death. Different rules apply to works created by non-human authors (such as corporations) but the copyright term for such works is similarly long in duration. While there are additional legal benefits to registering a copyright with the United States Copyright Office, registration is not required for basic copyright protection to apply. For these reasons, a valid copyright is a very inexpensive and effective legal vehicle to prevent others from copying a creative work, and copyrights are often very valuable assets. It's easy to understand the applicability of copyright to, and the value proposition of, something "artistic" like a piece of music or a work of literature. A consumer is typically purchasing the work for its content, which is normally a copy of the original, and the value received is usually an appreciation of, or the information conveyed by, the content of the work. But what about the creative design elements of an otherwise utilitarian product, such as a statuette forming the base of a decorative lamp? The Act does provide protection for, among other types of work, "pictorial, graphic, and sculptural works." And one might appreciate the appearance of the lamp base in the same way one appreciates a non-functional sculpture. Does copyright protection extend to the lamp as a sculptural work? The answer is, "probably, to a degree," but the reasoning is complicated and the scope of protection is limited. Further, copyright protection simply cannot extend to the creative design of many useful articles because the design is so intertwined with the functionality of the thing that is considered "inseparable" from its function. The Act strictly limits the copyright protection afforded to “useful articles” that might otherwise qualify as a pictorial, graphic, or sculptural work. It defines a “useful article” as any article “having intrinsic utilitarian function that is not merely to portray the appearance of the article or to convey information." For example, although the statuette at the base of the decorative lamp may be appreciated for its appearance (like a piece of sculpture), it is a useful article because it has been joined with a bulb, a shade, and wiring that give it intrinsic utilitarian functions apart from the appearance. The same rationale applies to carvings on furniture or artwork printed on clothing. These "useful" articles can only be considered a protectable pictorial, graphic, or sculptural work to the extent they incorporate the artistic features in such a way that the artistic features "can be identified separately from, and are capable of existing independently of, the utilitarian aspects of the article." This so called "separability" requirement can be met by showing the artistic features are either physically or conceptually separable from the useful article. The rationale for limiting copyright protection to the separable, non-utilitarian artistic aspects of useful articles is straightforward. Under our legal system, the protection of utilitarian goods is the role of utility patents, not copyrights. Compared to a copyright, the standard required for utility patent protection is high, the process for obtaining a utility patent is rigorous, and the duration of a utility patent is relatively short. The owner of a utility patent is entitled to a total monopoly on the invention, for a limited time, in exchange for its passage into the public domain at the end of the patent term. The legal theory is that extending too much copyright protection to useful articles would subvert the utility patent process and unfairly extend the monopoly reserved for useful articles beyond its prescribed duration. In addition to copyright protection, designers of useful articles often have other legal protections at their disposal, such as design patents (as opposed to "utility patents"), to protect the ornamental appearance of their products. A design patent protects the invention of any new, original, and ornamental design for an article of manufacture. Although both copyrights and design patents can protect useful articles in similar ways, and while both types of protection should be part of a comprehensive intellectual property strategy for many manufacturers, some aspects of design patent protection are substantially less attractive than copyright protection. Compared to the automatic nature of basic copyright protection, securing a design patent typically involves an application process and some legal expense. In addition, the standards that an applicant must meet to obtain a design patent are quite different, and higher, than the requirements for copyright protection. While a copyrightable work need only be creative and original to the author who produced it, a patentable ornamental design must, among other things, be novel compared to what has come before it and nonobvious to a designer skilled in the particular art. Further, for those articles where consumer tastes change quickly, a design patent may be of limited value if the design becomes obsolete soon after the design patent is granted. Finally, for designs unlikely to become obsolete quickly, the 14 or 15 year period of protection (depending upon the application date) provided under a design patent is relatively short compared to the much longer duration of a copyright. It is thus unsurprising that makers of useful articles often attempt to rely on copyright protection if they believe they cannot meet the strict requirements of obtaining a design patent, want to avoid the time and expense associated with a design patent application, or have simply failed to obtain a design patent for one reason or another. Pursuing design patent protection does, however, have advantages over relying exclusively on copyright protection for useful articles. A complete overview of design patents is beyond the scope of this article, but one advantage is that having an issued design patent in hand provides a higher degree of certainty that the holder will have enforceable rights if the holder becomes involved in an infringement lawsuit. Although the ornamental features protected by a design patent may not be dictated primarily by the function of the article, which is similar to the separability requirement of copyright protection, the copyright concept of "separability" does not exist in design patents. The holder of a design patent is more likely to avoid an argument over whether the design is even protectable. As explained below, the applicable legal standard to determine when the artistic elements of useful goods are "separable" from their utilitarian aspects, and therefore entitled to copyright protection, is unsettled. When Is a Design Separable From the Useful Article? As mentioned above, the separability requirement of copyright law is easier stated than applied. Courts have struggled for years to apply it to useful articles in actual cases. The issue typically arises when the manufacturer of a useful article ("Manufacturer A") has sued a manufacturer of a similar useful article ("Manufacturer B"), whose product has similar, allegedly copied, design elements, for copyright infringement. Manufacturer B will often assert, by way of defense, that the design allegedly copied from Manufacturer A is not subject to copyright protection in the first place because the design elements are not separable from the article's utilitarian aspects. To decide these cases, courts have, over the years, fashioned a multitude of different judicial tests to determine whether the artistic elements of Manufacturer A’s product truly are separable and, therefore, entitled to the copyright protection claimed. Whether there is substantial likelihood that even if the article had no utilitarian use it would still be marketable to some significant segment of the community because of its aesthetic qualities. In addition, the United States Copyright Office and various legal scholars have also developed their own tests. Ironically, after identifying all the tests, the Sixth Circuit's ruling in Varsity Brands announced yet another test, a five-question inquiry to decide the case before it. Varsity Brands was a classic example of a case involving what could be the most thorny subject matter for copyright separability – clothing. 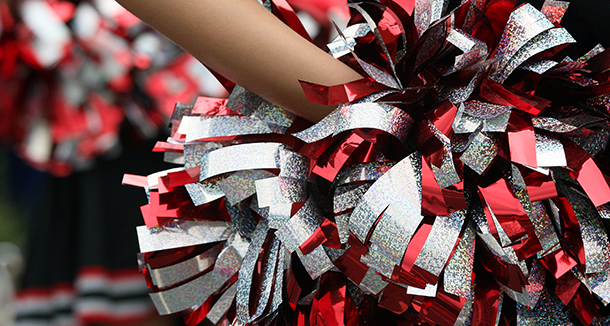 The plaintiff and defendant were competing makers of cheerleading uniforms. The plaintiff asserted copyright protection in the stripes, patterns, and chevrons associated with the designs of five cheerleading uniforms that it alleged the defendant had copied. Although the graphic elements of some clothing may be considered separable, the trial court had determined that the stripes, patterns, and chevrons of a cheerleading uniform are not conceptually separable from its utilitarian aspects because they serve the utilitarian function of identifying the wearer of the uniform as a cheerleader and a member of a particular cheerleading team. Without such elements, the trial court postulated, the uniforms in question would cease to be cheerleading uniforms. Further, the trial court ruled that the decorative elements, apart from their function, invoked no concept other than that of the function of the clothing. In this way, the trial court likened the cheerleading uniform dispute to one involved in a case decided by the Court of Appeals for the Second Circuit, wherein it was held that various decorative elements of a prom dress were not copyrightable because they all served the dress’s decorative function--as a formal dress for a special occasion--and invoked no other concept in the mind of the viewer. On appeal of the cheerleading uniform dispute in Varsity Brands, the Court of Appeals for the Sixth Circuit applied a novel five-question inquiry and, for various reasons, reversed the trial court, ruling that the artistic aspects of the cheerleading uniforms were separable and subject to copyright protection. 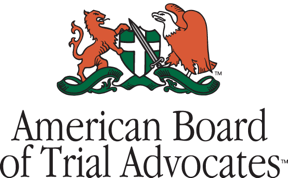 One could argue that all these judicial tests of separability are simply ad-hoc tools and too subjective or outcome-determinative depending on the nature of the useful article in question, thereby giving little guidance to manufacturers, designers, or future courts. Irrespective of the merits of such criticisms, however, it is indisputable that manufacturers of useful goods cannot be certain what test(s) will be applied by a court in the event they become involved in an infringement action. For example, the United States Court of Appeals for the Fourth Circuit, which hears cases from North Carolina, used no less that three of the above tests in a single infringement case to evaluate whether certain artistic elements of furniture were conceptually separable from their utilitarian function. Thus, it is clear that copyright law could use some additional clarity and certainty in this area, so that manufacturers and designers can better understand their rights and potential liabilities. Fortunately, the United States Supreme Court may soon decide these issues for all courts. In May, it agreed to review the Sixth Circuit's decision in the Varsity Brands case. With any luck, the Supreme Court will soon issue a ruling prescribing the proper test to determine separability in the copyright context. Still, the issue of separability and its related nuances will not be going away. Regardless of the separability test prescribed, manufacturers and designers wanting to protect the ornamental features of their products should consider strategies that include both copyright and design patent protection. The United States Supreme Court may soon provide clarity as to which, if any, of the numerous tests currently applied to determine separability under copyright law has any merit. Or it may fashion a new test. In any case, it appears likely that manufacturers and designers will soon at least know what test, or tests, will be applied if they intend to rely on the applicability (or non-applicability) of copyright protection to the creative aspects of their useful goods. In the meantime, manufacturers and designers of useful goods should consult intellectual property counsel experienced in both copyright law and patent law to determine the best strategies for maximizing protection of such goods.